Now more than ever, parents are told how important it is to talk meaningfully to their kids. This is the book that makes it happen. 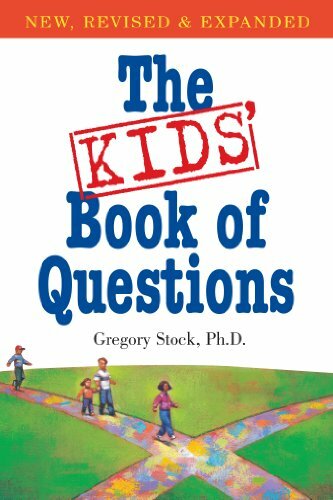 A revised and expanded second edition, The Kids' Book of Questions, with 634,000 copies in print, makes it easy to ask hard questions and fun to answer them. Questions to challenge, questions to provoke. Questions to entertain and expand young minds. Questions about right or wrong, about fears and hopes, ethics, religious beliefs, about why parents act the way they do--even about ruling the world. Updated to include questions on subjects that have arisen since the book's original publication in 1988--from the internet to issues like school violence and terrorism--the book is a sure way to prod young people into discovering who they really are and what they really believe. There are inquiries into values: "If you knew you wouldn't get caught, would you cheat on a test by copying someone else's answers?" Intriguing fantasies: "If you could email any famous person and know they'd read and answer your note, who would you write to and what would you say?" Philosophical queries: "Have you had any personal experiences that lead you to believe in God?" Provocative scenarios: "After being given a truth pill, what would you say if you were asked to describe your family?" Kids, and parents, will be amazed to find how far one little question will lead. If you have any questions about this product by Workman Publishing Company, contact us by completing and submitting the form below. If you are looking for a specif part number, please include it with your message.